The first part of the course will be held mainly at the Universidad Estatal Amazonica’s CIPCA research station, located in the Amazonian Region near Santa Clara, Pastaza province, Ecuador. Field trips will be scheduled in nearby natural areas in the Pastaza region. 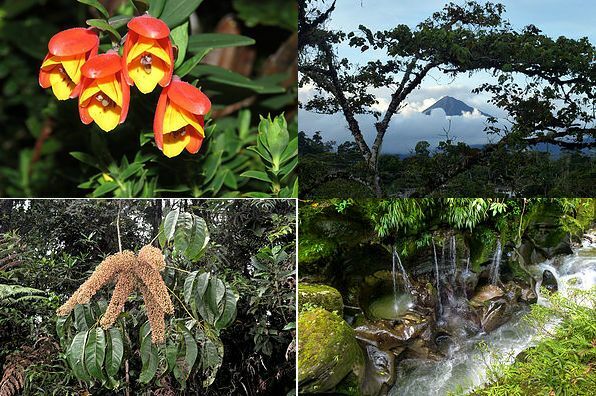 The second part of the course will include field trips in the Andes Mountains in southern Ecuador, in Loja and Zamora-Chinchipe Provinces, near the Podocarpus National Park. The program will provide financial support to cover lodging and meals, course materials, and travel costs between USA and Quito, as well as local transportation during the course. The program is funded by the National Science Foundation (NSF), with support from MBG, NYBG, and UEA. Develop and present a 15-minute scientific presentation at the end of the program. October 1st, 2018. More detailed information is available here. Further information can be obtained from the program coordinator: Dr. Marcela Mora (marcela.mora@mobot.org).